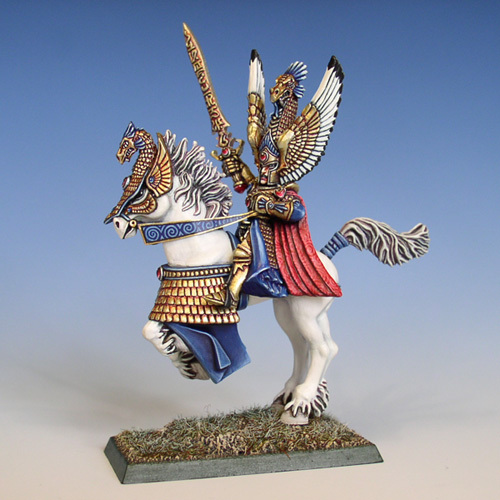 An update of the classic Jes Goodwin model using the original sword, head, and horse's headpiece in combination with the new elven steed and the silver helm models from 1997. The model won me my first Golden Demon Slayer Sword! A curious painting technique used on the model was to add purple ink to almost every colour.